Heads continues to roll in the Nordic banking sector as the chief executive of Swedbank was fired by the board, paying the price for a rapidly escalating €135 billion money laundering scandal in the same week that saw US regulators launch multiple inquiries into money-laundering at Swedbank. The New York State Department of Financial Services wrote to Swedbank last month, saying that it was looking into seven separate matters involving the Swedish bank, demanding more information on the Swedish bank’s conduct amid new allegations that it handled €135 billion from high-risk clients, according to the Financial Times. The letter, dated February 20, stated that New York was “currently undertaking several inquiries” related to Swedbank’s relationship to other money-laundering scandals. These involve Danske Bank, Latvia’s ABLV, Cyprus’s FBME and Lithuania’s Ukio, as well as Mossack Fonseca, the law firm at the heart of the Panama Papers. The New York investigations comes as Swedish authorities ramped up their own inquiry into Swedbank, which is the largest bank in the Baltics. Prosecutors in Stockholm raided Swedbank offices on Wednesday after SVT, the state broadcaster, reported that it handled the €135 billion from high-risk non-residents, mostly Russians, through its Estonian operation over the past decade. The revelations are only the latest in a series of dirty-money sagas ripping through Nordic banking. 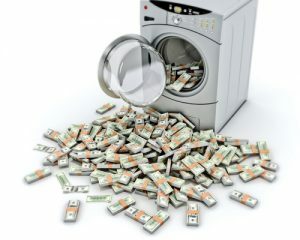 The US Department of Justice and the Securities and Exchange Commission have already started investigations into Denmark’s Danske Bank while both Swedbank and Denmark’s Nordea are facing criminal complaints in the Nordic region over alleged money laundering. The scandals at the three lenders amount to what could be the largest money-laundering operation in history. They paint a picture of wealthy Russians and oligarchs from former Soviet states using the Baltic outposts of well-known Nordic banks to move hundreds of billions into the western banking system over the course of a decade.